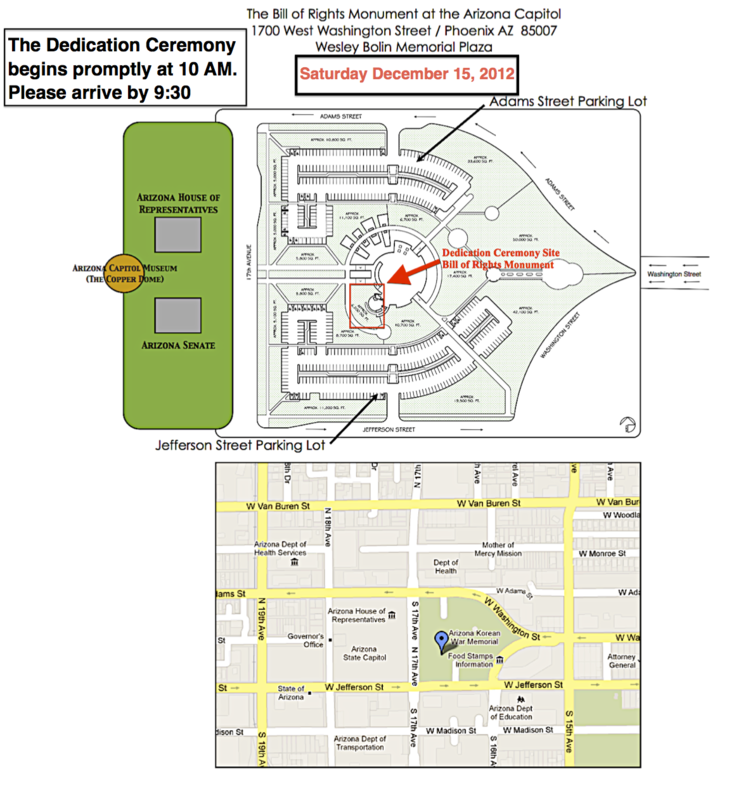 This Saturday, December 15, 2012, MyBillofRights.org will proudly dedicate America’s first monument of the Bill of Rights, on the Arizona Capitol Mall in Phoenix. The date marks the 221st anniversary of ratification of the Bill of Rights, on December 15, 1791. President Franklin Roosevelt officially designated December 15 as “Bill of Rights Day” in 1941. 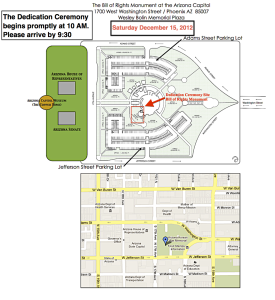 The monument is located in the southwest quadrant of Wesley Bolin Plaza, 1700 W. Washington Street, Phoenix 85007. Parking is available from both the Adams Street and Jefferson Street entrances.